I invite you to pause for a moment to absorb the significance of that statement. Next, think about the five people with whom you spend most of your time. If you combine the annual income of those five people and divide it by five, chances are this is approximately the same amount of income that you earn. Those of us who’ve studied the art and science of transformation, including Jim Rohn, understand that it’s extremely important to surround yourself with positive influences when you are pursuing your dreams. 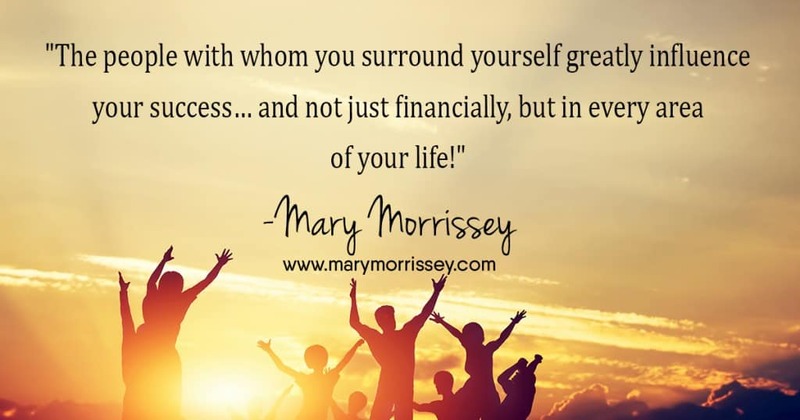 The people with whom you surround yourself greatly influence your success… and not just financially, but in every area of your life! You see, it’s not just their way of thinking about money that’s contagious — it’s their way of thinking about success and failure, in all areas of life, that’s contagious. The Law of Averages says that, as I’m being influenced by certain thought patterns and beliefs about life and possibilities, I begin to believe those same beliefs and experience those same kinds of results. And not just encouraging you, but actually supporting you in the pursuit of your dreams. Highly successful people seek to give as much as they can to their peers and mentors. They endeavor to help each other. 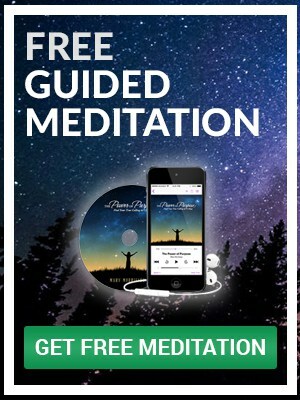 FREE: eBook Stronger than Circumstances! We live in a generous universe, so it’s important that you and I practice generosity, and that we encourage and support others who are interested in becoming their best selves. As you contribute your time, gifts and talents to others, you will find that others naturally want to contribute to you, too. As you practice being a person of increase, the amount of abundance, happiness and success that you experience in your life will increase too. This is just how the Universe works. Who is part of your Circle of Influence, who do you spend most of your time with? I strongly recommend that you take some time to think about who you spend most of your time with. If you are NOT spending the majority of your time with people who are highly supportive of your dreams, I encourage you to find ways to surround yourself with these types of people. You may need to take a class, or join a program that’s all about personal growth, where the other people in that class are also be interested in growing and becoming their best selves. I’ve been blessed to have experienced great friendships throughout my life. But some time ago, as a result of a few of my friends having passed away over the years, and I felt a gap in this area. I longed to have a new female friend in my life that I could support, and who would support me also — someone who was generative, positive-minded, success-minded, and spiritually deep. So, I put that thought out there, and began to imagine what life would be like with this new friend as a part of it. Eventually, I met a wonderful woman who has become a very close friend of mine. For almost a decade now, I’ve had that new friend in my life. It’s been one of the most rewarding and fulfilling friendships that I have ever experienced. I recommend that you think about the kinds of friends you’d like to have as your circle of influence, and then reach out to someone who you know who thinks positively and is success-minded. Join a program. Watch success videos online, then get involved and leave a comment. Someone else will leave a comment, and you might meet someone there and start a conversation. Then the two of you can talk and trade ideas and begin supporting one another! If you make a decision and choose to pursue it, you really can have and be a part of a positive, supportive circle of influence that increases your success and happiness. Stay tuned! Great articles are coming very soon! Ohh Debbie! Im glad you like the articles but furthermore that you can apply a bit of each of them! SO very true to keep positive people in our friendship circle!! Finding true friends that show up during the difficult times in our lives is something that you get better at cultivating as one gets older, at least that has been my experience. Please share the article if you like it and let me know how did you like the eBook: “Stronger than Circumstances” that is inside of my newest article: http://bit.ly/2c4WoJF You can download it now! Funny that I clicked on this to listen, many times I don’t but this communication hit exactly where I am at right now, so thanks. Awesome Gillian! Thanks for sharing! Your nuggets of wisdom help me so much to make sense of the world Mary. I would love you to be a friend of influence and to assist me on my path of supporting others reach their potential. I would love to meet you! I hope you could make it to my next live event so I could meet you in person! I very much agree that at any stage in life you need positive rapport with people in your community, family and as many others as possible. Hi Rita! We sometimes feel lonely and play the role of the lonely ranger but being aware of the people that love us, specially family is a great start to the journey of creating the life we would love leaving! Keep in touch… and please share the article with your loved ones! Thanks for your share Magriet! We never stop learning…. and that is the beauty of life! Learning opportunities everywhere we look at! 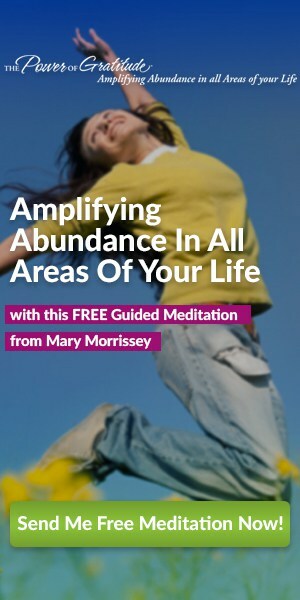 Here’s the link to my latest article: https://www.marymorrissey.com/blog/mary-morrissey/frequency-of-your-thoughts-in-a-giving-universe/… I hope you like it and you can share it!